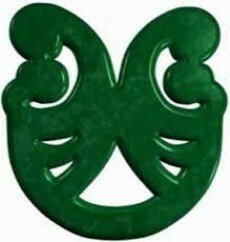 The Kōhanga Reo was inpired by kaumātua for the purpose of the restoration and development of Te Reo me ōna Tikanga within whānau. The Kōhanga Reo movement was a response to the dire state of Te Reo Māori (the Māori language). In 1913 over 90% of Māori school children could speak the language; by 1975 this figure had fallen to less than 5%. The Kōhanga Reo movement was driven by Māori, with an emphasis on a total Māori-language immersion setting and involvement by whānau. The first Kōhanga Reo opened at Wainuiomata in 1982, followed by Waiwhetu and then us here at Kokiri Marae. Kokiri Marae manages a number of Kohanga Reo operations in the greater Hutt Valley area. Kokiri Marae launched its Kōhanga Reo in 1978. The spacious Kōhanga Reo caters for two age groups with pepe up to two years old in one area and tamariki from two to five years old in the other. Kokiri Marae are licensed to take 25 under 2 year olds and 50 2 to 5 years old. We employ qualified Kaiako and provide staff with opportunities for professional development. The Kohanga Reo operates between the hours of 8am to 4pm Monday to Fridays including school holidays, and by arrangement from 7am to 5pm. Kokiri Marae Kōhanga Reo also provides a pick up and drop off service for tamariki by special arrangement in the wider Hutt Valley region. Te Hono Ki Kokiri operates out of a purpose built facility. It is situated in a cul-de-sac with limited traffic on the edge of a park which has quality playground facilities. Te Hono itself is fully fenced with ample space for outdoor play. Te Hono ki Kokiri are licensed to take 10 under 2 year olds and 15 2 to 5 year olds. We employ qualified Kaiako and provide staff with opportunities for professional development. The Kohanga Reo operates between the hours of 8am to 4pm Monday to Friday including school holidays. Paparakau Te Kohanga Reo operates out of a Marae type environment with open spaces and a separate space for the under 2s. Its founders Millie and Ginger Te Maro contributed many, many voluntary hours to the establishment and development of this facility. Kokiri Marae supported Ginger and Millie with the development of Paparakau and since their deaths have gone on to manage and support Paparakau, in its on-going development. Paparakau are licensed to take 8 under 2 year olds and 22 2 to 5 year olds we employ qualified Kaiako and provide staff with opportunities for professional development.